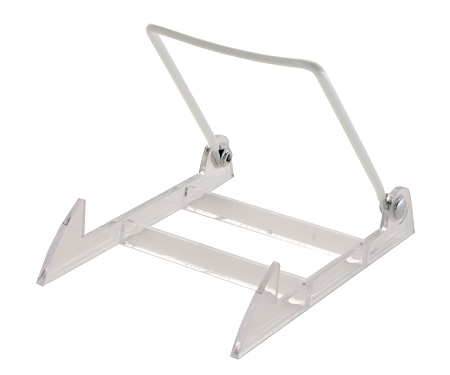 12 Pack Medium Acrylic Base Wire Back Adjustable Display - White Wire Clear Base Use gridwall display easels for videos, books and software, gift items, plates, and tiles. Your display options are unlimited with these adjustable, versatile easels.
. We will gladly accept the return of products that are defective due to defects in manufacturing and/or workmanship for 30 days from the date of purchase.